With the conclave set to begin tomorrow (12 March), it is worth reflecting on one of the underlying themes of these past weeks, or one of the ‘issues under the issues’ as the historian John W. O’Malley would put it. The issue is the role of the Holy Spirit in the life and renewal of the Church. Of course, following Pope Benedict XVI’s abdication, it is the Spirit’s guidance of the Church in the election of a new pontiff that is at the heart of our prayer at present and for good reason. As a religious and political institution, the papacy has shaped and re-shaped human history in innumerable ways both positive and notorious (compare the papacy of Gregory the Great in the sixth century and his historic mission to the people of Anglo-Saxon England, worshipping as they were ‘stocks and stones at the edge of the world’ to that of Benedict IX in the eleventh century whose election, the result of systematic bribery on the part of his father, brought only violence, debauchery and shame to the See of Peter). This uneven history of the papacy and its influence on both the Church and world underlines the importance of the upcoming conclave and the Spirit-led discernment that calls to be exercised by the cardinalate. The new pontiff will not only need to meet the challenge of the sexual abuse crisis, a scandal that continues to raze the credibility and mission of the Church globally, but also the plight of persecuted Christians in Asia, Africa, and the Middle East, the yet-incomplete articulation and direction of ‘the new evangelisation’ aimed principally at the West, and the abiding issues of internal reform, including that of the Roman Curia, that call for address. I would say that the Spirit does not exactly take control of the affair, but rather like a good educator, as it were, leaves us much space, much freedom, without entirely abandoning us. Thus the Spirit’s role should be understood in a much more elastic sense, not that he dictates the candidate for whom one must vote. Probably the only assurance he offers is that the thing cannot be totally ruined . . . There are too many contrary instances of popes the Holy Spirit obviously would not have picked! Erroneous decisions on the part of the Church, certainly not restricted to the realm of candidates for the Petrine Office, raise the question of the precise nature of the Spirit’s role in ecclesial discernment and decision-making for while Scripture affirms that the Spirit will indeed ‘guide us into all the truth’ (Jn 16:13) it ostensibly does not offer the community of disciples immunity from mediocrity or even calamity. Certainly, in the Acts of the Apostles the Spirit does appear to intervene at chosen moments in an immediate and decisive manner, leading the nascent Church towards what it should be and what it should do. For instance, we witness the power of the Spirit at Pentecost to bring about a reconciled diversity among Jesus’ disciples and later it is the Spirit who guides the Church into an embrace of the Gentiles, a decision which the apostles and elders attest as having ‘seemed good to the Holy Spirit and to us’ (Acts 15:28). For Luke, the author of Acts, the power of the Spirit is at work, guiding and directing the early Church to its destination. However, other New Testament texts, the dramatic history of the Church and our own personal experience suggest that the voice of the Spirit is not always so clear. The diverse manifestations of the Spirit as expressed in the New Testament communities (1 Cor. 12:28-31, Eph. 4:11-13, Rom. 12:6-8), while a profound gift to the Church, indubitably shape the later Johannine emphasis on the need of discernment to ensure that what has been received, experienced or testified is indeed truly of God. The First Letter of John, clearly acquainted with the experience of community discord, warns, ‘Beloved, do not believe every spirit but test the spirits . . . from this we know the spirit of truth and the spirit of error’ (1 John 4:1,6). 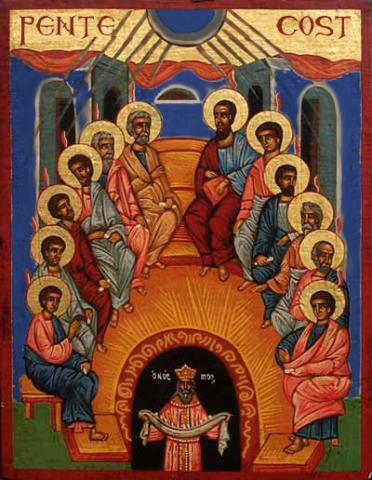 Indeed, it is ironic that the subject of the Spirit, which ecumenical theology affirms as the principal of unity within the Church, has been at the root of some of the most significant divisions in the history of Christianity – the split of the East and West over the Spirit’s procession from the Father and/or the Son, and the Spirit’s relation to Scripture, tradition, and the sacraments including hierarchical ministry so bitterly contested at the Reformation. In other words, the gift of the Spirit needs to be actively and constantly received by the community of the Church as it pilgrims through history, a ‘reception’ that involves the activities of listening, understanding, applying, and so truly ‘making one’s own’ the Spirit of faith and grace so that the community can be faithful to the person and message of Jesus. 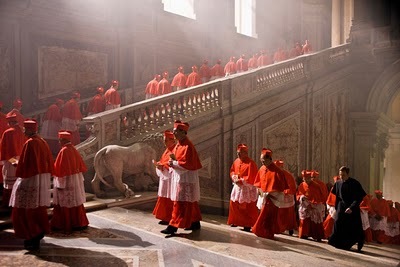 The necessity of active human involvement in the Spirit-led decisions of the Church explains not only the emphasis of our tradition on being ‘docile’ to the Spirit (a spiritual tenet emphasised by Benedict XVI himself in his farewell address to the College of Cardinals) but also opens the real possibility for the non-reception of the Spirit by the Church community. This failure to heed the Spirit is evidenced not only in the grand crises and scandals of the past and recent history of the Church but also in the more ‘ordinary’, everyday failing of Christians to live the full meaning of their God-given discipleship. The Australian theologian Ormond Rush concludes of the Church and the Spirit, ‘the human receivers of revelation are to be portrayed as active participants in discerning the way forward, co-deciders with God’s Spirit’ (cf. Rush, Still Interpreting Vatican II, 87). This ‘co-decision’ with God’s Spirit is a capacity and responsibility not simply of those who exercise authority in the Church but for the whole ecclesial body which shares the task of receiving the one Spirit, the ‘Spirit of Christ’ himself (Rom. 8:9), into its life, structures and decision-making. Returning to the impending conclave, though the abiding presence of the Spirit in the Church is that which ensures the Church a future as the ‘pillar and bulwark of the truth’ (1 Tim. 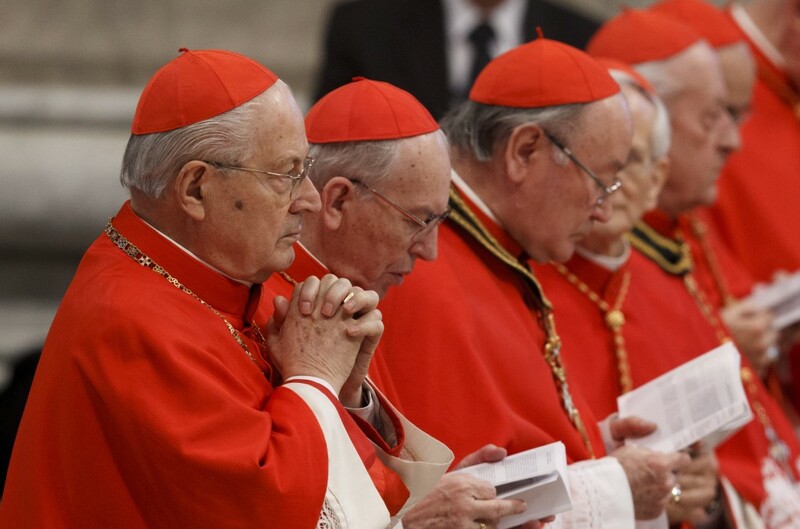 3:15), it remains the task of the cardinal-electors, as individuals and as a college, to be open and receptive of the Spirit’s promptings in selecting ‘the first among the successors of the apostles’ to guide the Church into this future. As for each and every Christian, what is essential to the cardinal’s reception of the Spirit is their own conversion for it is only in holiness that one can recognise the Spirit who is holy. There can be, then, no naïve self-complacency about those Spirit-led decisions which shape our life of faith, whether they are made in the splendour of the Sistine Chapel or the more familiar surrounds of our own dioceses and parishes with their own intimate concerns and hopes for the future. It is only our conversion that enables authentic discernment, a faithful recognition, of the Spirit of Truth as it calls us to respond. As the 14th century theologian Gregory of Sinai concludes, ‘the understanding of truth is given to those who have become participants in the truth – who have tasted it through living.’ We pray that the cardinal-electors will choose well and in good faith.